patterned Be@rbricks in popsicle colors (though the one i showed here is the grey version). 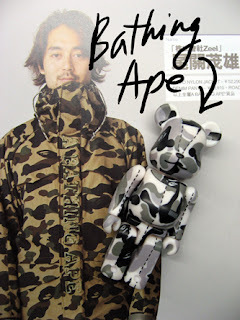 The camouflage design is a recurring motif in Bathing Ape jackets, caps and shoes. Bears in camo? Way cool!